Should talking about your competitors be part of your sales strategy? Learn 3 social selling tips for how to tactfully talk about your competitors while building trust with your prospects. According to Seth Godin, when you’re selling to someone who hasn’t purchased from you before, it’s not about your price or features. The most important question you should be asking is: "Do they trust me enough to believe my promises?" 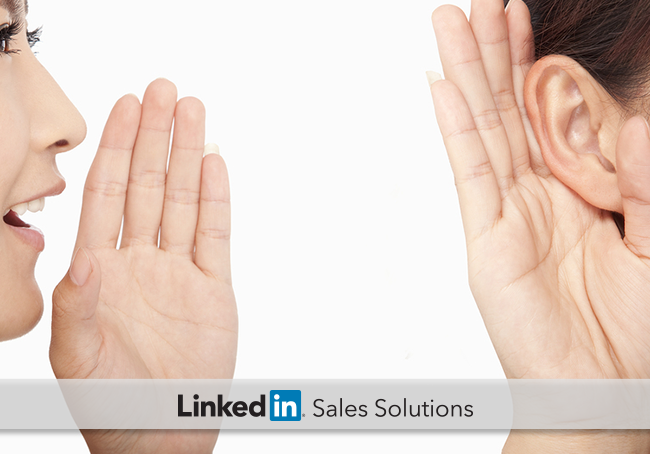 Establishing credibility and building trust are pillars of social selling success. While some reps try to persuade buyers with features and pricing, others focus on helping them make the best decision. They’re building trust through empathy. It’s no secret that other reps are almost always wooing your prospect at the same time you are. They’re the “elephant in the room” behind every conversation with your prospects. In some corporate sales cultures, it’s taboo to mention a competitor. Other sales professionals consider competitor insights and "educating" the customer a key part of their sales strategy. Both approaches have merit. Selling, by nature, is a competitive exercise. And if you don’t talk about competitors during the sales process, it’s normal to address their presence with the prospect or buying committee. Here are a few social selling tips you can capitalize on these competition-related conversations to build trust among your prospects. It's common for a prospect to request your opinion regarding competitors. But even if they directly ask about a competitor, it might not be necessary to give your prospect a detailed rundown. A good rule of thumb is to think about what you would say if your response was public. If what you have to say doesn’t fit with your professional brand, don’t say it. In most cases, you're better off saying something nice or indifferent. Going negative will only make you look bad. Talking about a competitor can harm your sales efforts if you're not careful. Even though it’s about someone else, what you say and how you say it reflects on you. To ensure what you have to say is as accurate as possible, a good sales strategy is to follow your competitors on LinkedIn. Watch their Company Pages, read their sales material and track their updates through the new Sales Navigator. Plan what you will say about competitors with the same care you use to craft your value proposition. Place your focus on how you can best help your prospect make an educated decision. Sometimes this means acknowledging that the competitor may have a feature/benefit that you don’t. Other times, the conversation may tread to touchier ground. For example, if one of your competitors typically uses deceptive pricing practices, consider privately sharing content related to pricing or RFP best practices. Don’t have this content? Suggest it to your marketing department. Let your other competitors do the whistleblowing for you. Today’s well-informed buyers can usually weed out less-than-reputable competition without your help. So unless your input regarding the competition empowers your prospect at a time of need (i.e. they’re about to make a decision based on false pretenses), you’re better off competing solely on merit. In sales today, it’s critical to remember that your relationship with a prospect is more important than beating a competitor. Your prospect doesn’t want to know why someone is bad; they want to know why you’re the person they should work with. By focusing your sales strategy on how you can help prospects achieve their goals, you’ll earn their trust and show them why nobody can compete with you.